As you might imagine, anything connected to the Chapins would have deep roots into music, the family's first love. Many nights throughout the summer, the park glows with faces lit by campfires, and the sounds of voices and guitars singing familiar songs. Located at The Ovens Park is a hidden treasure. This licensed restaurant is situated on the Atlantic ocean with magnificent views of the sea cave cliffs, Cross Island, Little Duck, Blue Rocks, Rose Head and the Ovens Point. The Diner is open seasonally, 7 days a week, usually starting in late June until Labour Day. Please call to confirm hours in the beginning and end of the season to avoid missing the action! Music begins at 7:30 pm nightly. In August we usually add an additional show starting at 6 pm (dinner seating at 5:30 pm) on Friday and Saturday evenings. Reservations are recommended, so Please call the office at 902-766-4621 to make a reservation. Please Note: The restaurant is now closed for the 2018 season! Last year's fair was truly a memorable weekend of fun, featuring a variety of musical entertainment and special events. Tom Chapin, Steve Chapin, Big John Wallace, The Chapin Sisters, Jen Chapin and her band~Stephan Crump & Jamie Fox. 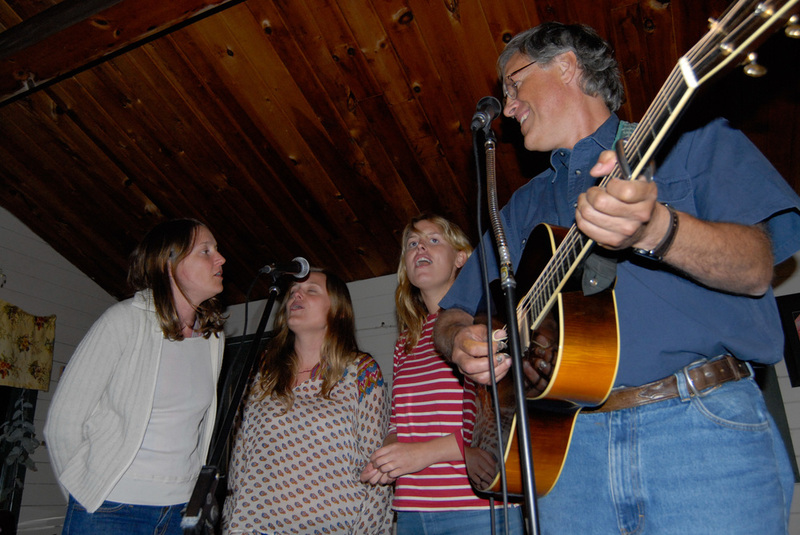 Each year, the Chapin Family Concert presents a blend of children's music, folk songs, and favourites of their brother, Harry Chapin.